At its developer conference earlier this week, Samsung announced that the Android Pie software update for its flagships will come with One UI, a redesigned skin that focuses on simplification and ease of use. 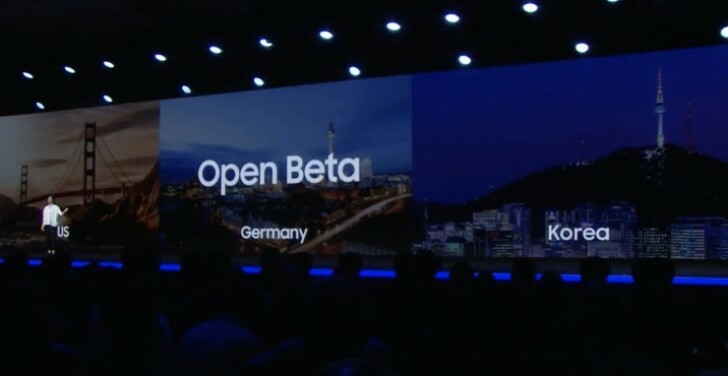 The company announced that the first public beta build of its Android Pie update with One UI was going to be available for the Galaxy S9, S9+, and Note9 by the end of this month. If that timeline was too vague for your taste, Samsung's German arm has come to the rescue today. Through a support chat, a German publication was able to find out exactly when the beta builds will be out - on November 15. This is the date for Germany, but since the beta program will also be available in the US and South Korea, the release time frame might be slightly different for those countries. This does come straight from Samsung support staff, but those people aren't always the best informed, so don't take the date for granted just yet. Either way, it looks like you'll be able to play with the redesigned One UI very soon indeed - that is, if you're rocking one of the company's flagships from this year. If you have one from 2017, worry not for Samsung is apparently going to bring One UI to the S8, S8+, and Note8 too - though that release might come significantly later than January 2019 when the newest models are due to receive the finalized update. Is the S8 already out of support? It sure seems like it, it was less a than a year ago Samsungs latest flagship and now it is forgotten, maybe the update comes before next year or so I hope. If Google is helping to make One UI is it considered as newer version of stock android Pie? Hmm. I would love this more streamlined design applied on stock android as well.